You may be wondering why your print edition of AutoForum has been late - or not arrived at all. Sadly, it has most likely been caught up in the post office strike, or just "got lost along the way". Its a common issue across the country and specialist magazine publishers like AutoForum are stuck between a rock and a hard place. Now SA publishers are so frustrated, they have decided to take action. A concerned group of specialist magazine publishers has indicated its intention to lodge a formal complaint next week with the Independent Communications Authority of South Africa (ICASA) against the South African Post Office (SAPO), which has been in breach of its licence conditions for several years. Chris Yelland of EE Publishers, spokesman for the group, says: "I am amazed at how long-suffering and passive the SA public and business sector is about the dysfunctional postal service in South Africa". The group of publishers will be asking ICASA to consider and review its numerous complaints against SAPO and the financial and other damage to the magazine publishing industry caused by SAPO's ongoing failure to meet its license conditions, and to sanction SAPO accordingly. This could include: punitive financial sanctions against SAPO; entertaining alternative license applications to that of SAPO; considering additional licence applications to supplement the activities of SAPO; or even the removal of SAPO's (currently exclusive) licence. In terms of the relevant legislation, ICASA is tasked with the monitoring of SAPO to ensure the conditions of its licence are met, and to hear and deal with complaints against the licensee where breaches of license conditions occur. This formal complaint to be lodged by the publishers with ICASA is a precursor to a possible class action following the legal process, for damages sustained by the publishers resulting from the failure of SAPO to meet its license conditions. However, before such class action is embarked upon, the publishers will follow all other avenues of due process, which includes the formal complaint to ICASA. 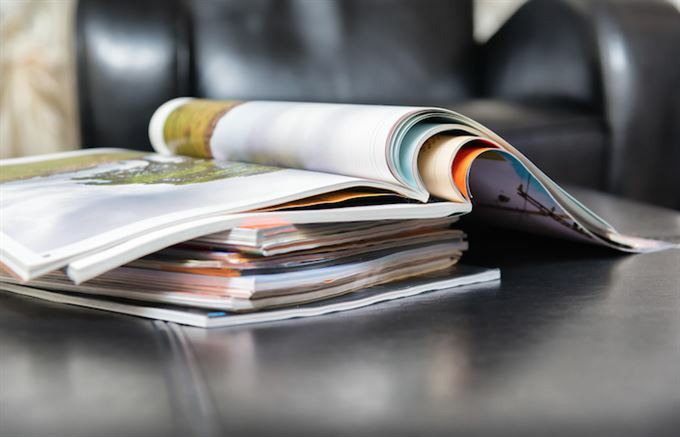 In parallel with the above, the group of specialist magazine publishers will be issuing a tender next week for alternative distribution arrangements for their magazines to that previously undertaken by SAPO. The attorneys for the group of publishers advise that the delivery of "periodicals" falls outside the ambit of, and is specifically exempted from, both SAPO's licensed activities (Schedule 1 of the Postal Services Act) and delivery services for which registration with ICASA is required (Schedule 2 of the Postal Services Act). The definition of a "periodical" is not provided in the Act, but the Oxford English Dictionary definition of "periodical" encompasses magazines that are published periodically. Therefore the magazine publishers believe there are no constraints in making alternative postal or delivery arrangements for their magazines. It is hoped that market demand for such alternative delivery arrangements by magazine publishers will encourage the formation of an effective and profitable magazine distribution industry, initially covering the metropolitan areas of every province in South Africa, and then extending to smaller cities and towns throughout the country. "Competition is a driver for improved performance and efficiency. If ordinary people can bring down the Berlin Wall, surely the same is true for a dysfunctional postal service?" said Yelland. Of course, it is all the more reason to switch to our digital publication - no delays and no visits to the post office. You can also follow us on Facebook and Twitter.